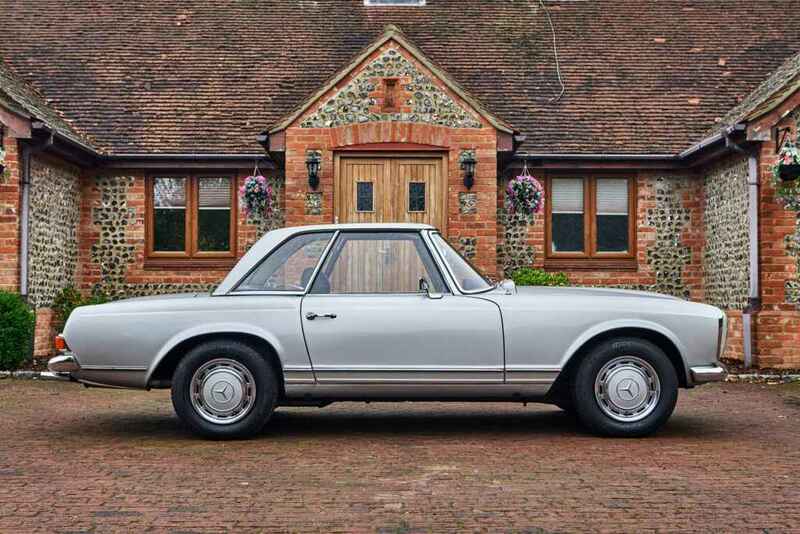 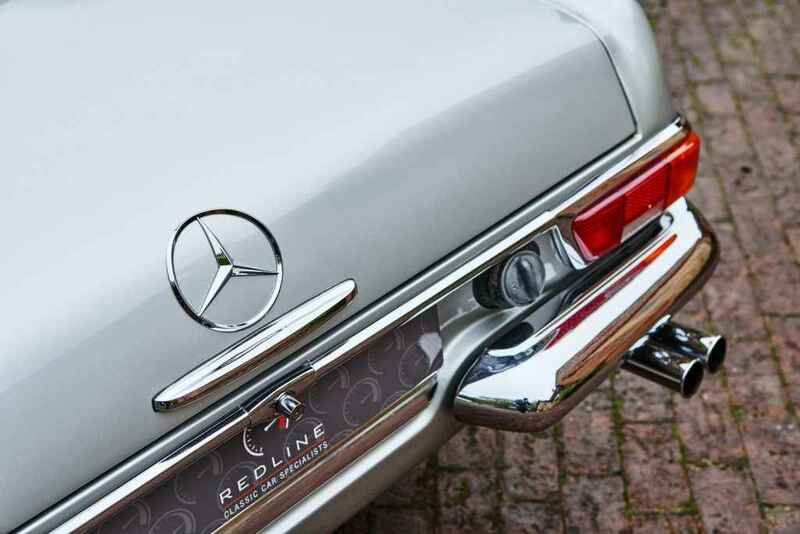 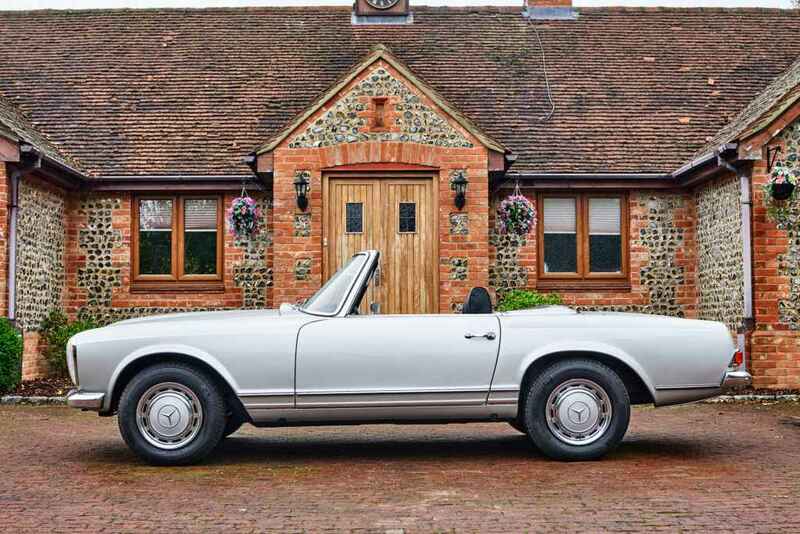 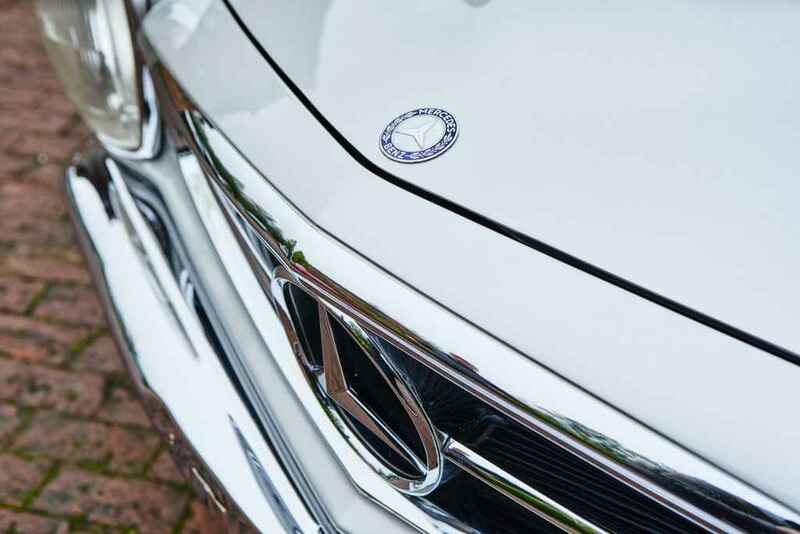 Redline Engineering UK Ltd is delighted to offer for sale beautifully restored Mercedes 280SL Pagoda. 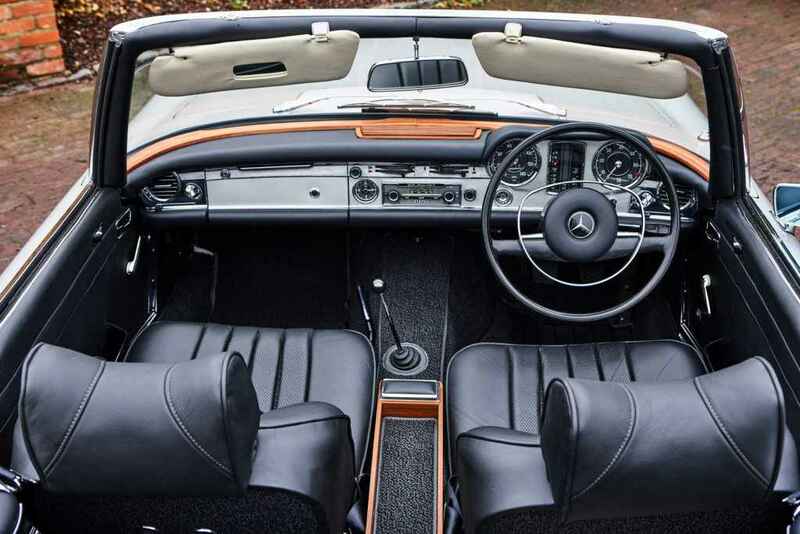 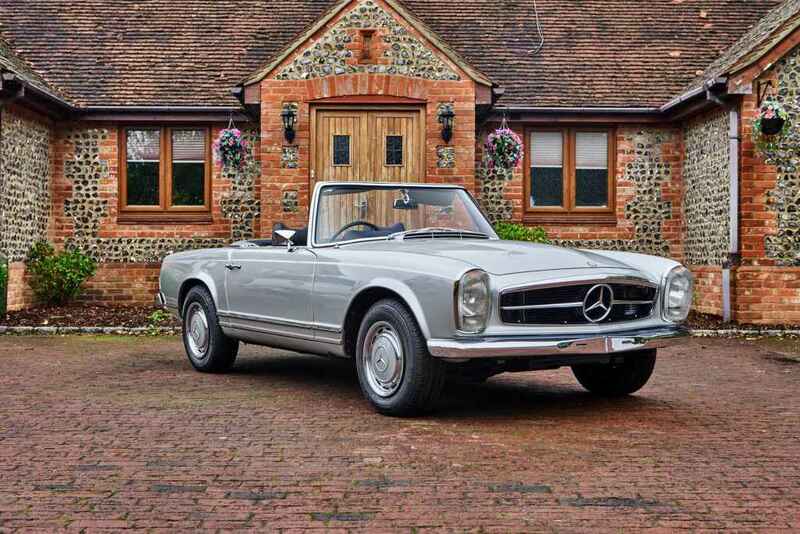 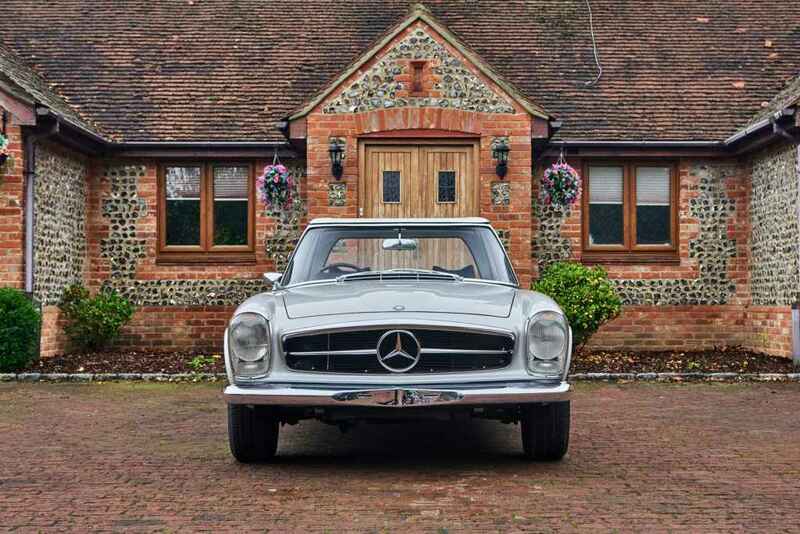 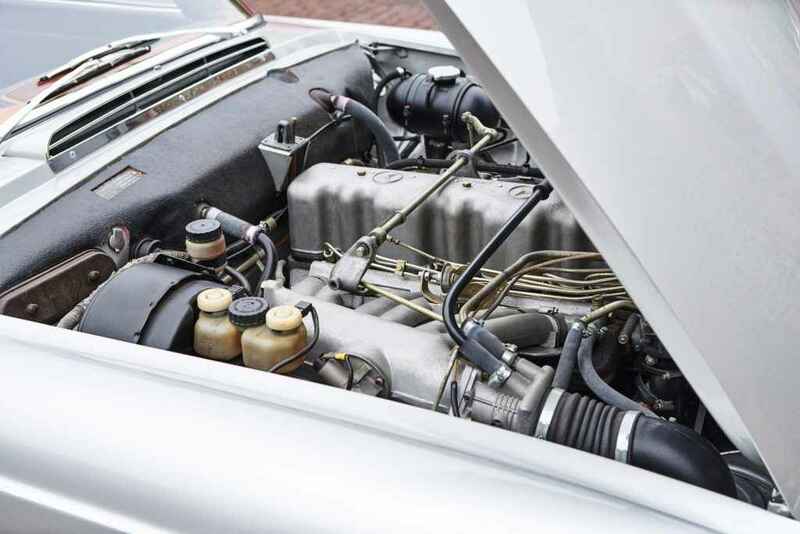 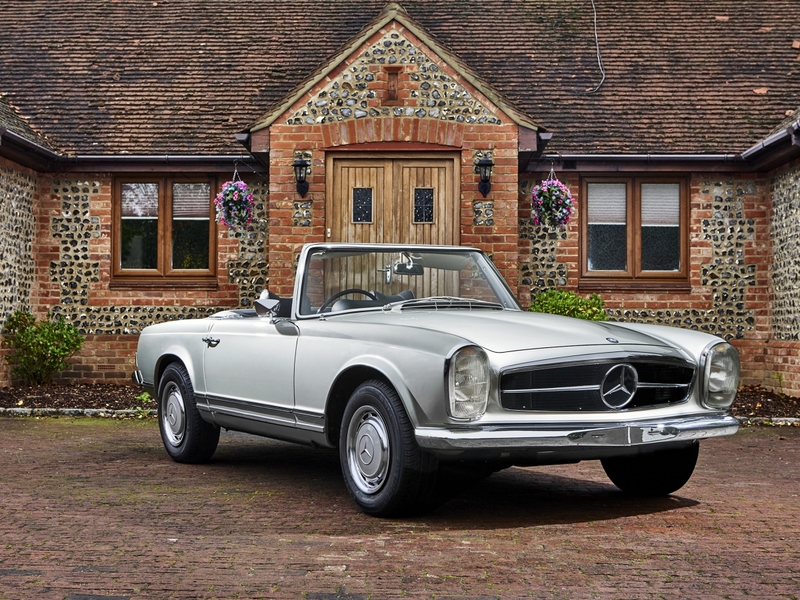 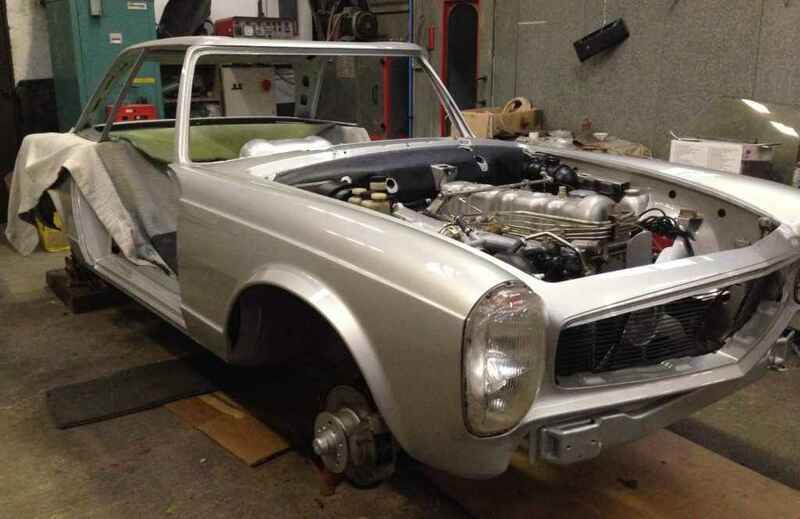 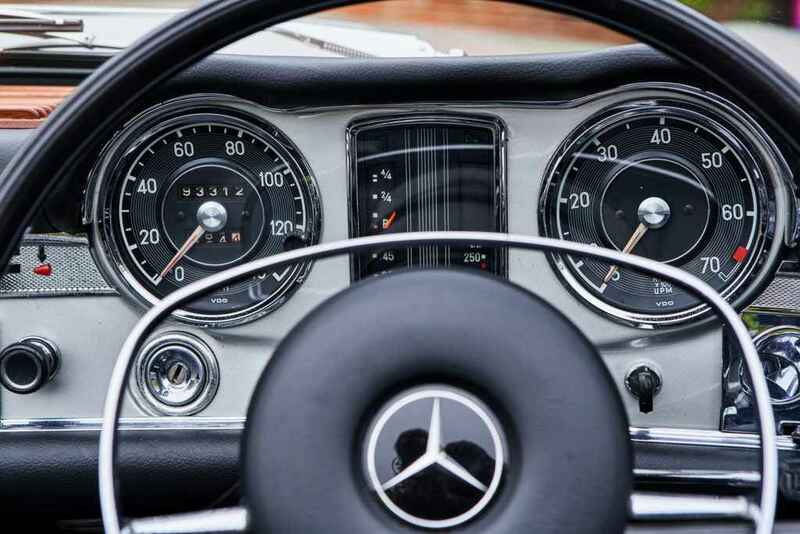 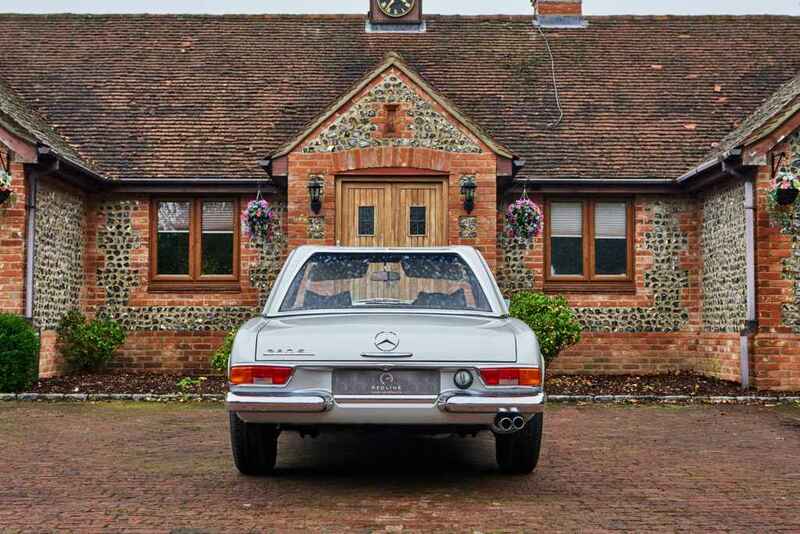 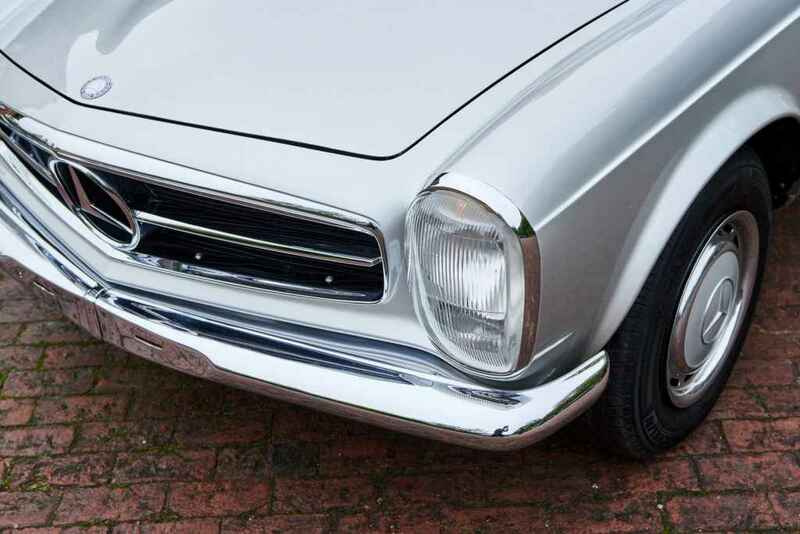 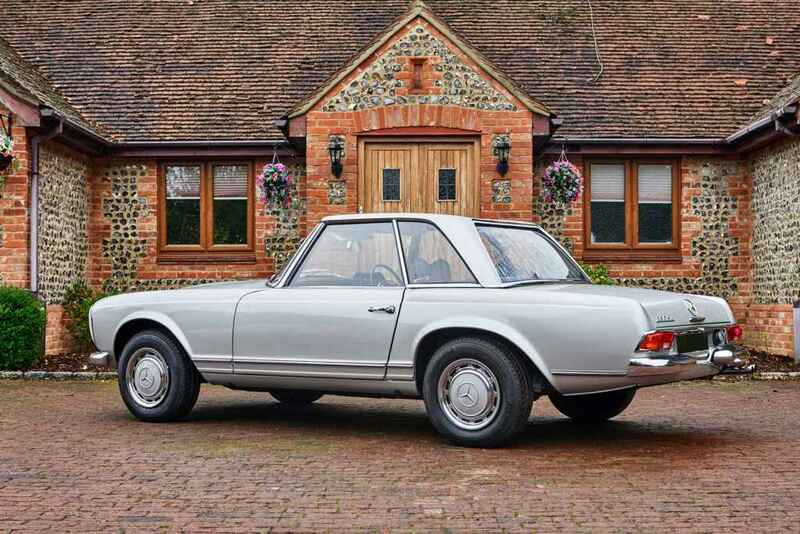 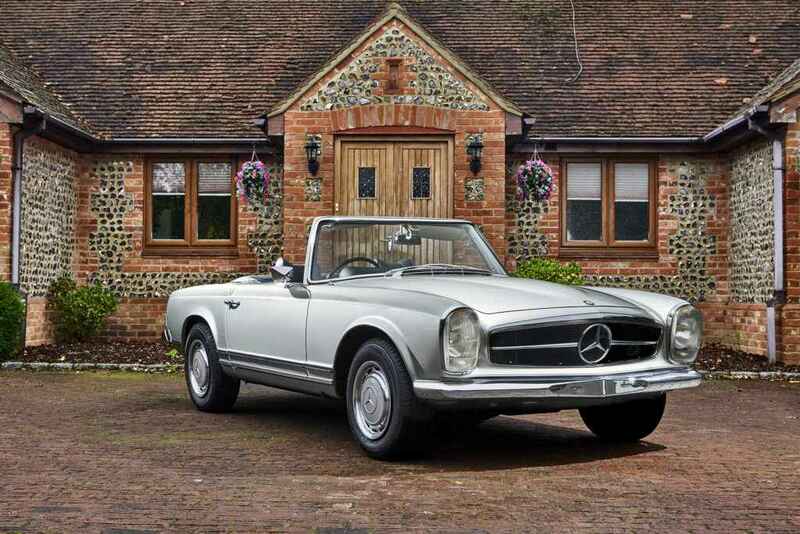 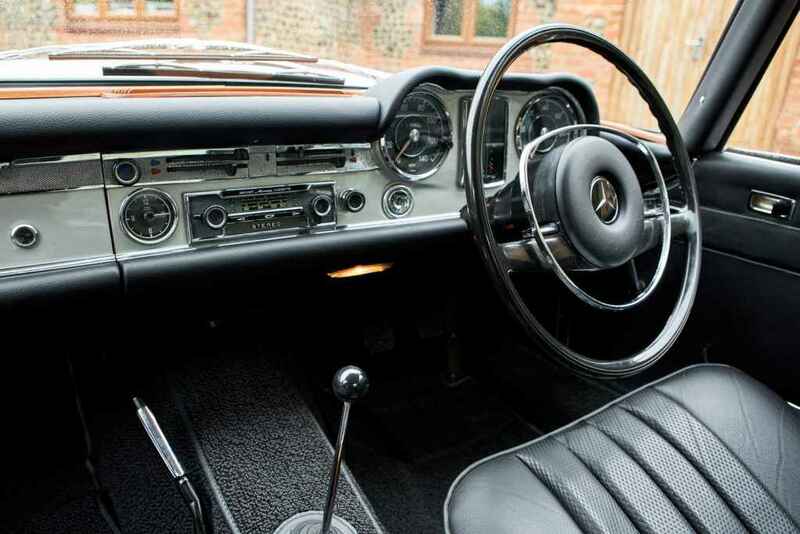 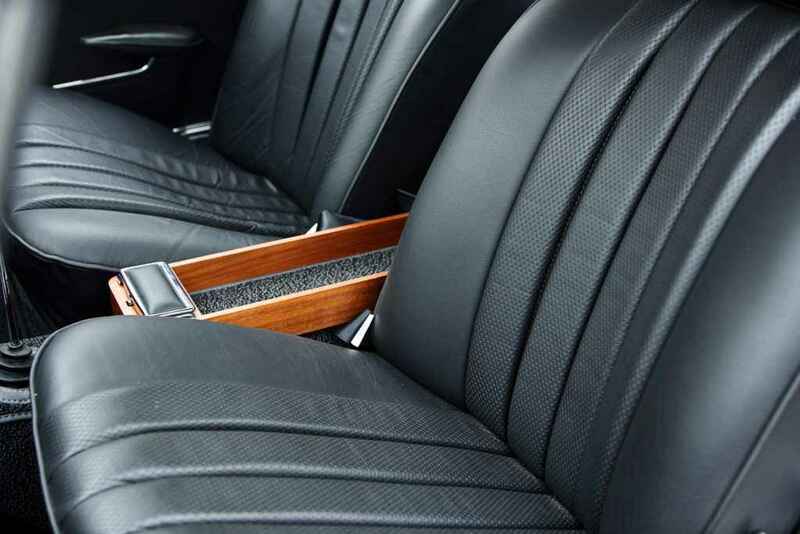 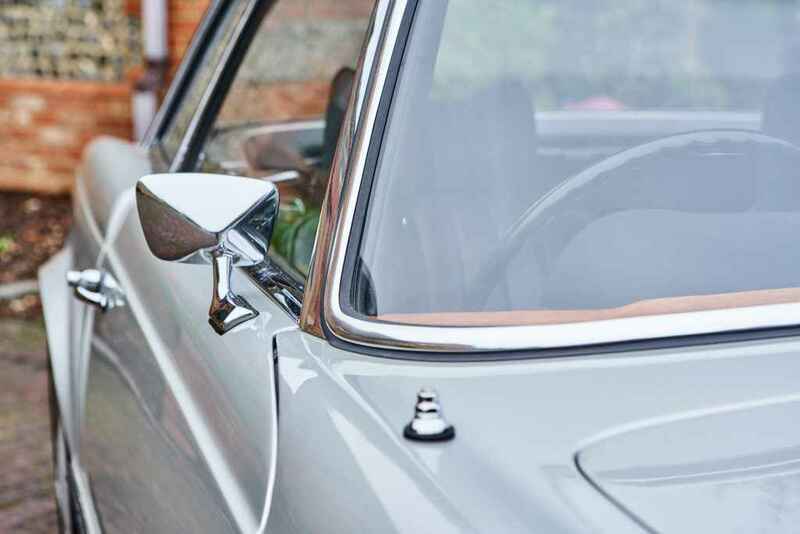 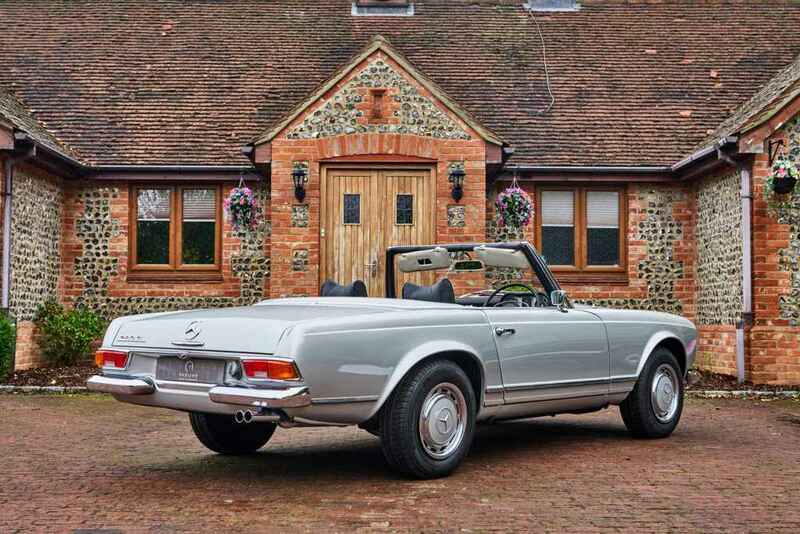 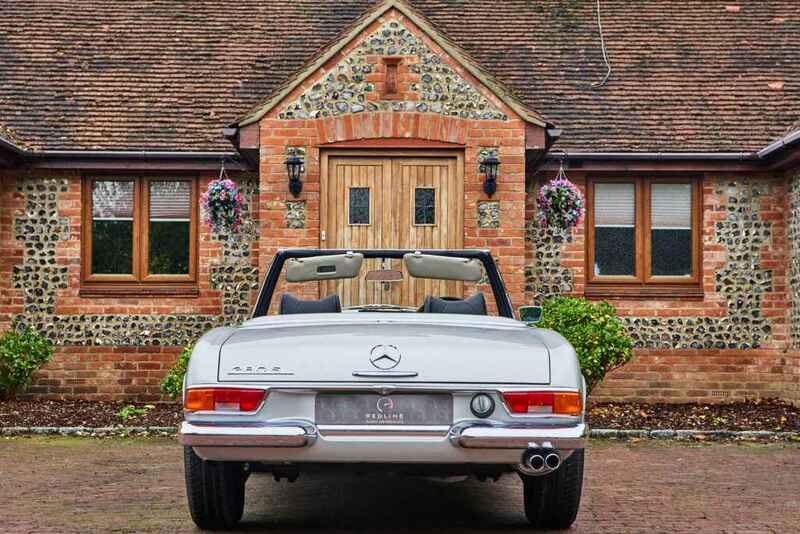 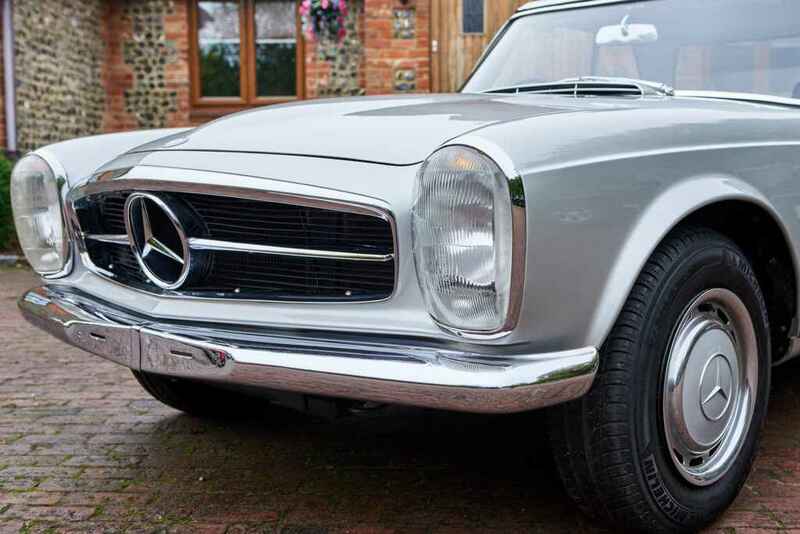 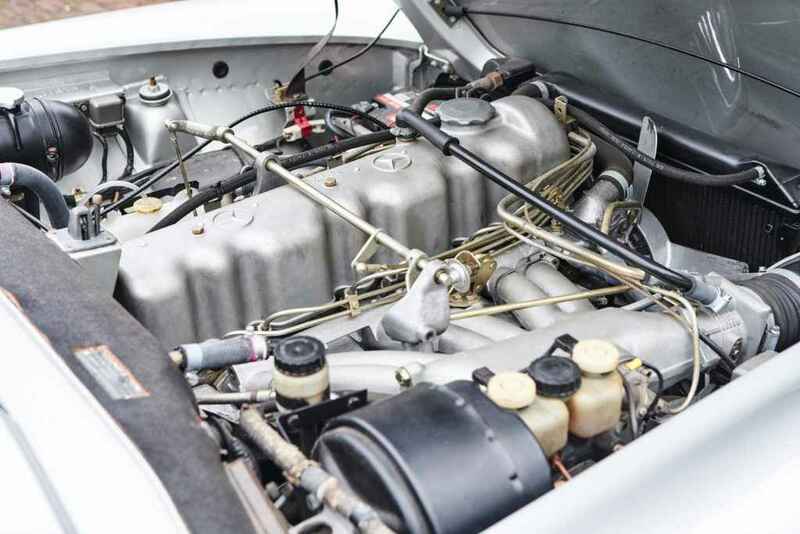 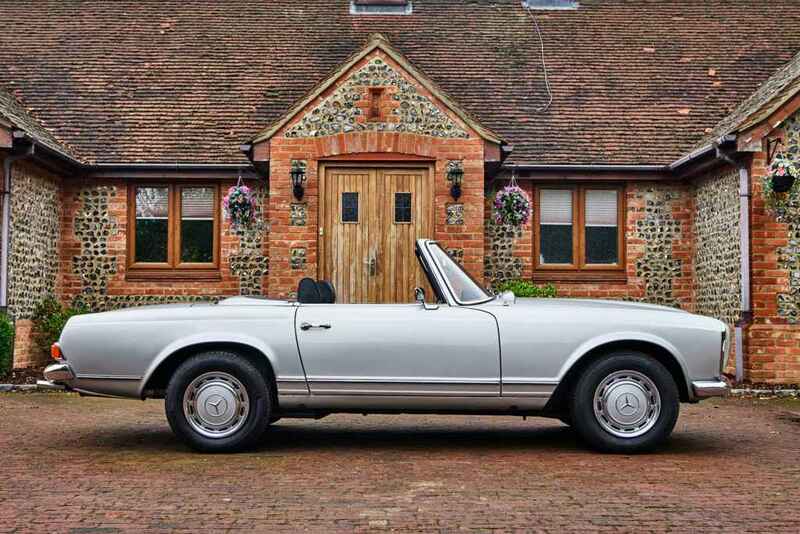 The 280SL Pagoda offered for sale has been beautifully restored to absolute perfection with no stone left unturned. 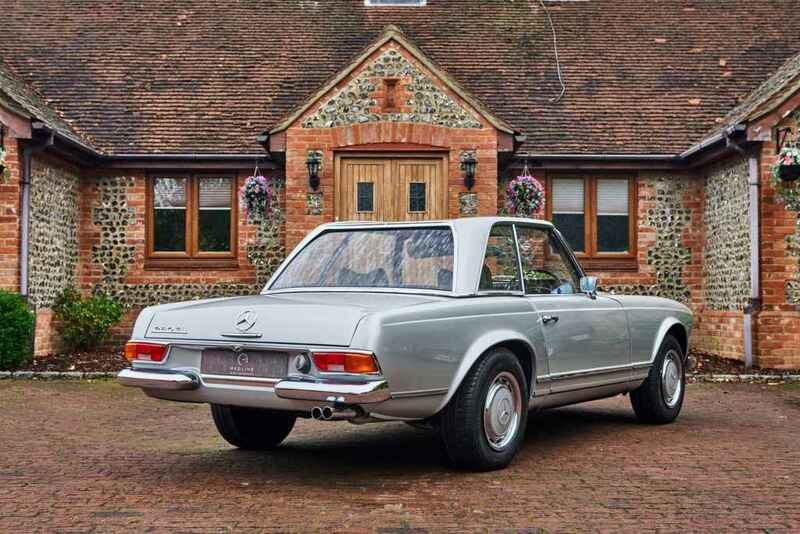 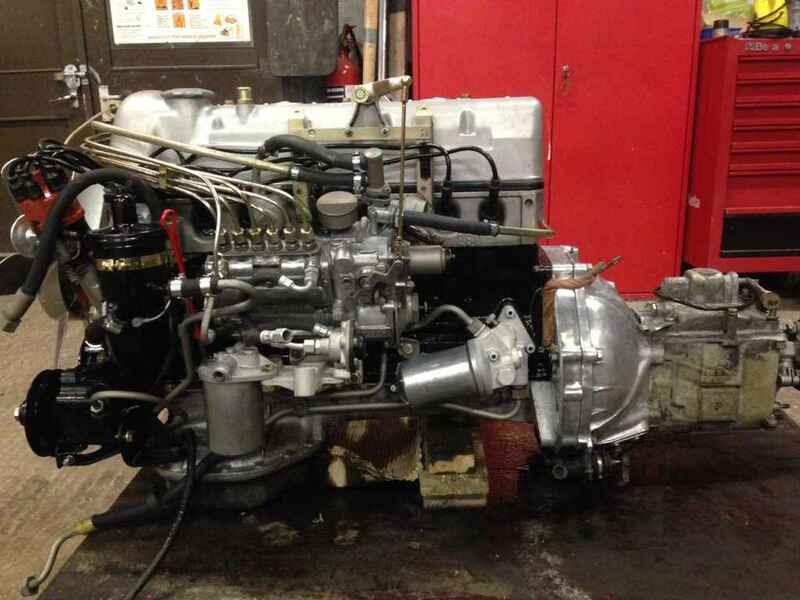 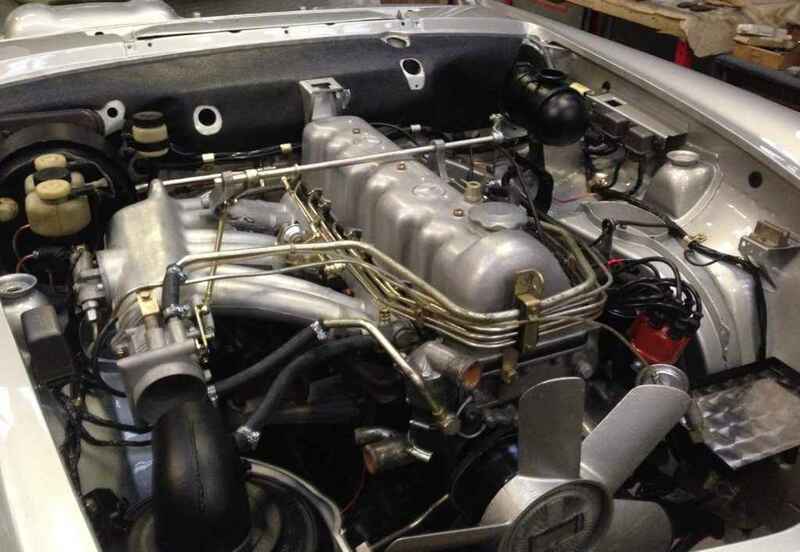 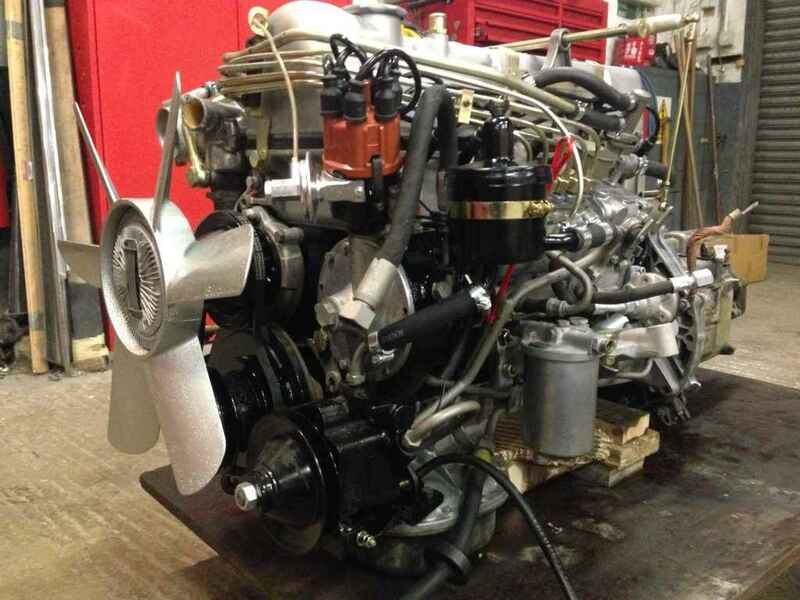 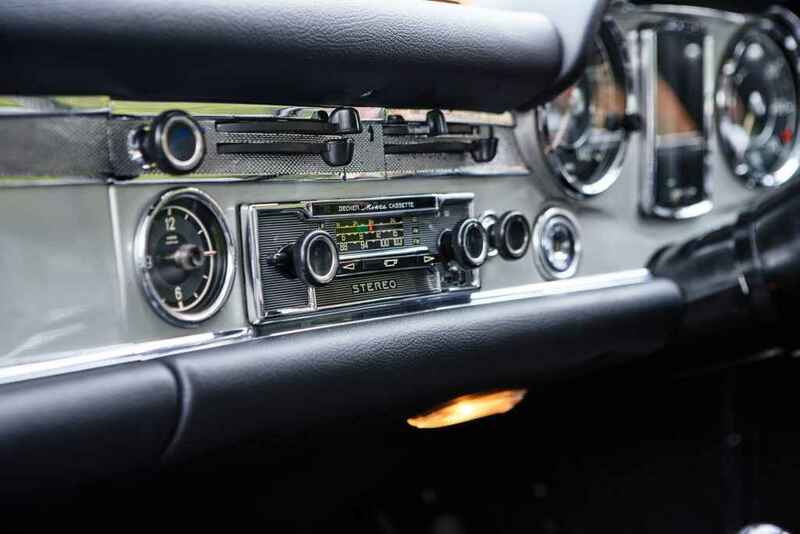 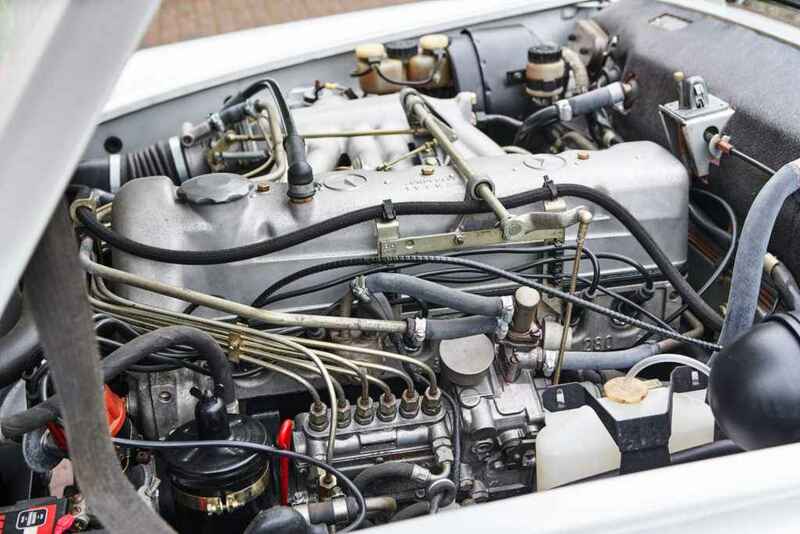 RHD manual built 1969 Finished in original period colour scheme – DB180 Silver – Grey. 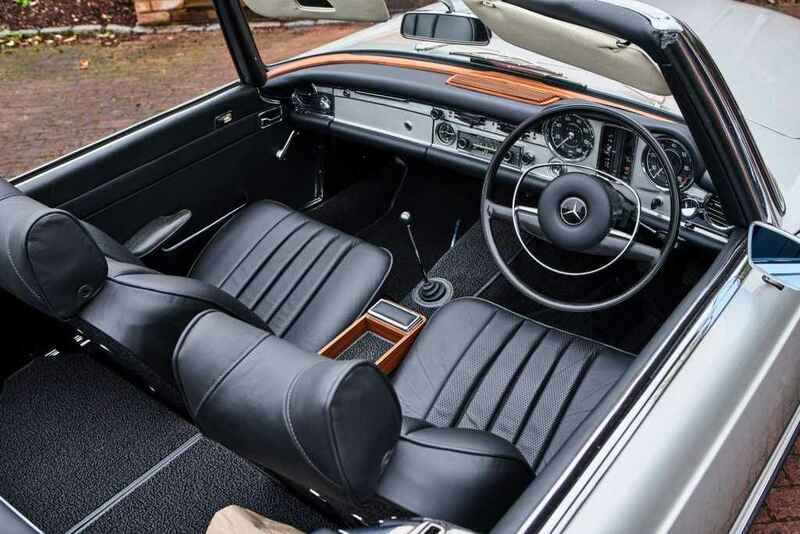 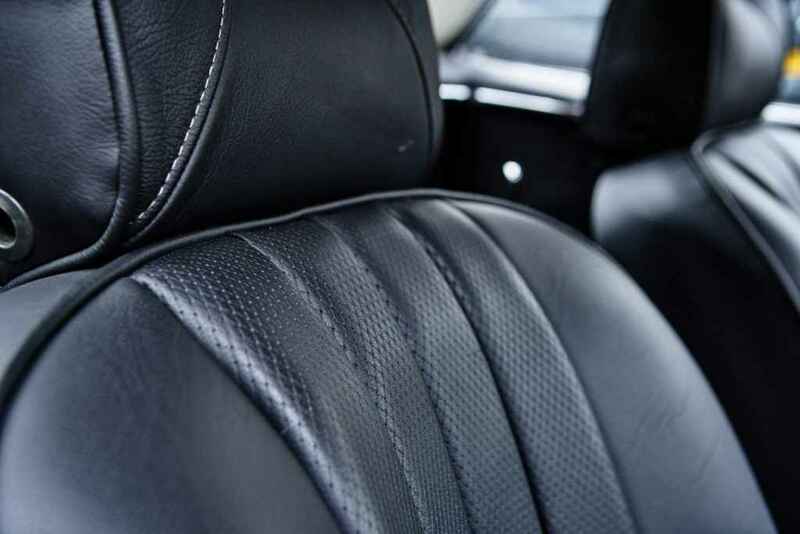 Interior Black upholstery English instruments with chrome trims Black twin loop carpets, 2.8 straight 6 engine with the very rare 4 speed manual gearbox, Black soft top hood, hard top, RHD, Becker radio, MB power steering, mileage 93,309 miles 2 owners. 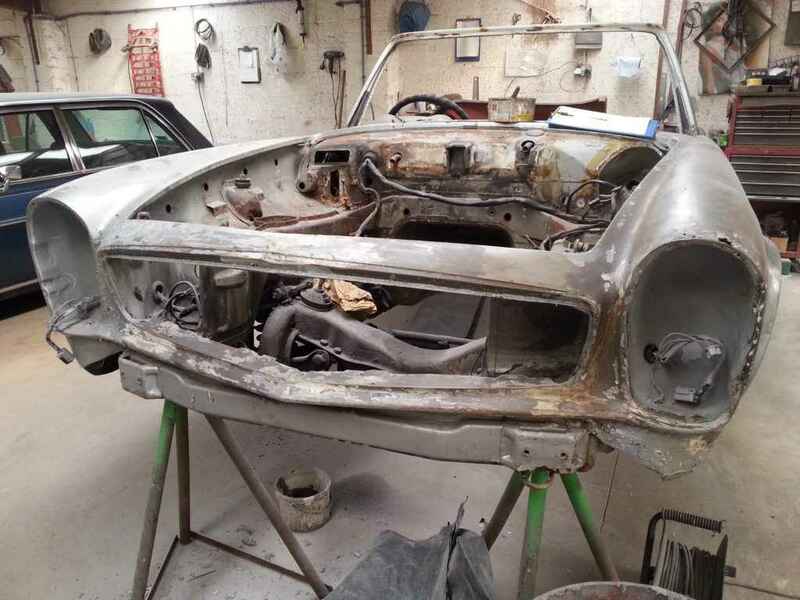 Strongly recommend viewing photo gallery for a comprehensive insight to amount of work undertaken with this restoration, over 600 photo’s with History file. 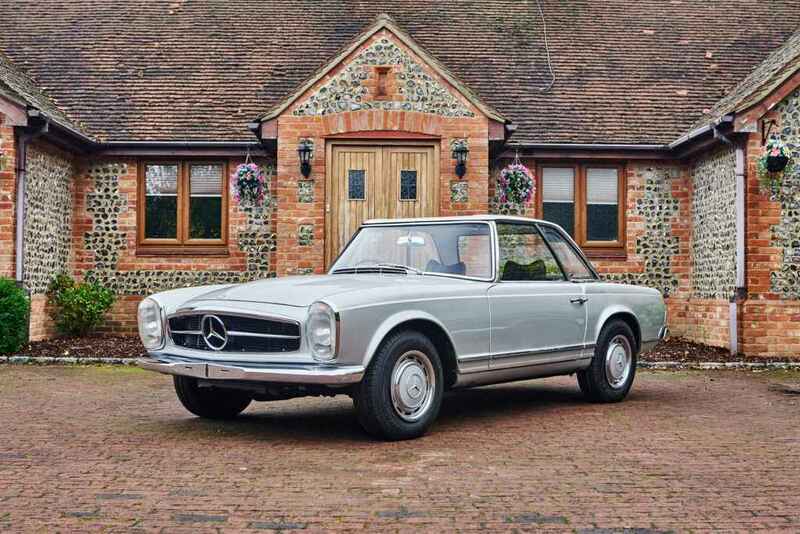 Mercedes specialists T & D Heaney Motor Company were entrusted with mammoth task of lovely restoring this 280SL with great care to attention and detail. 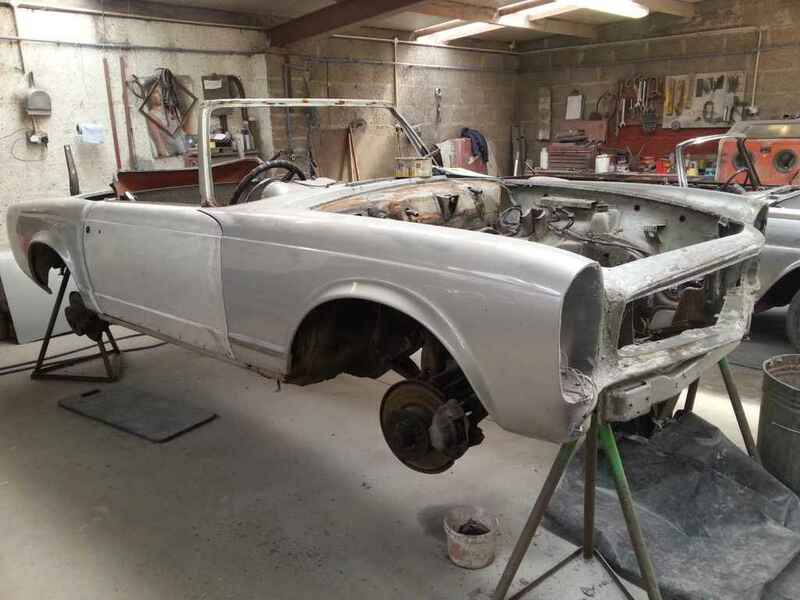 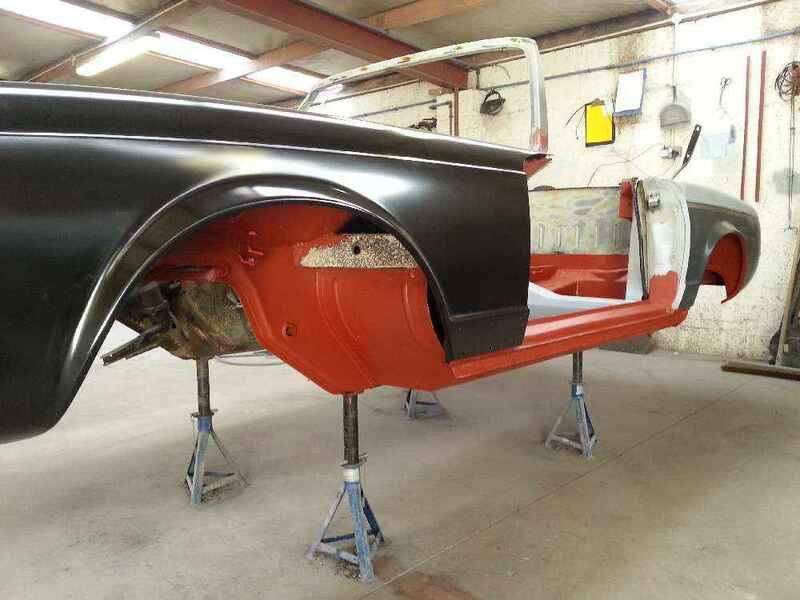 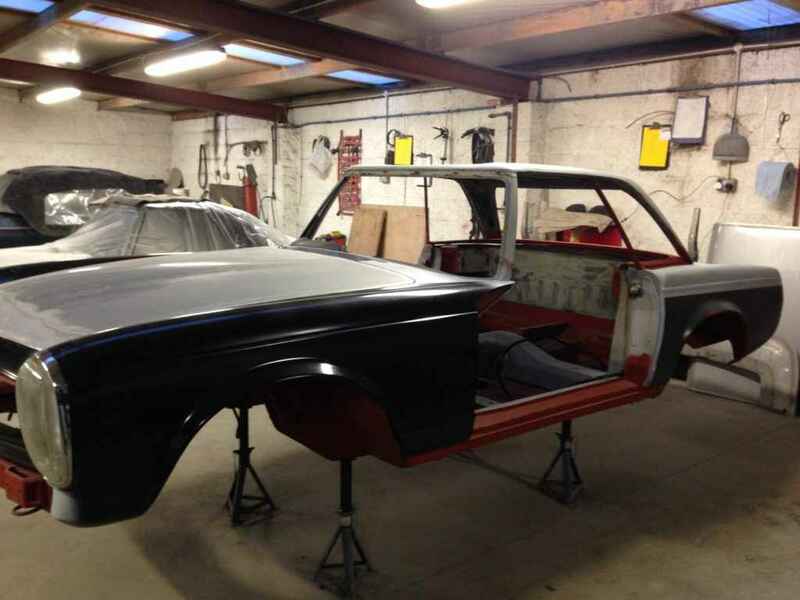 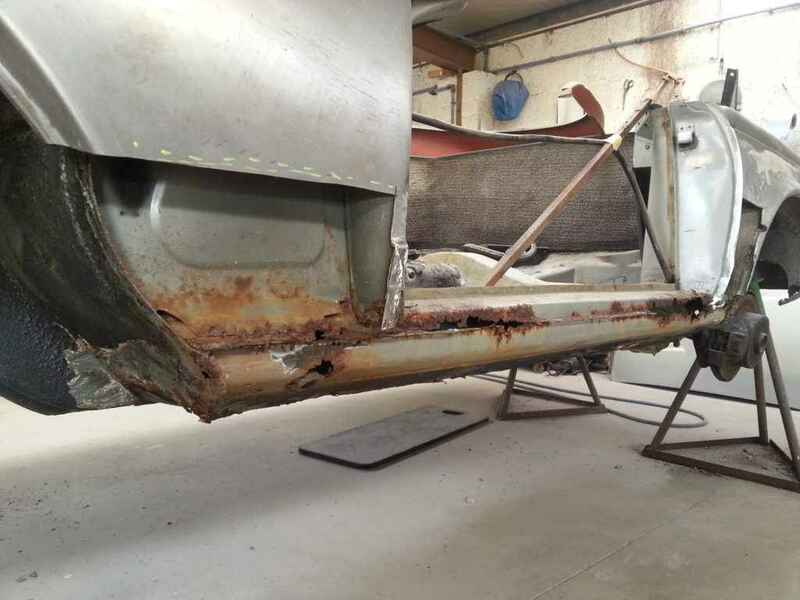 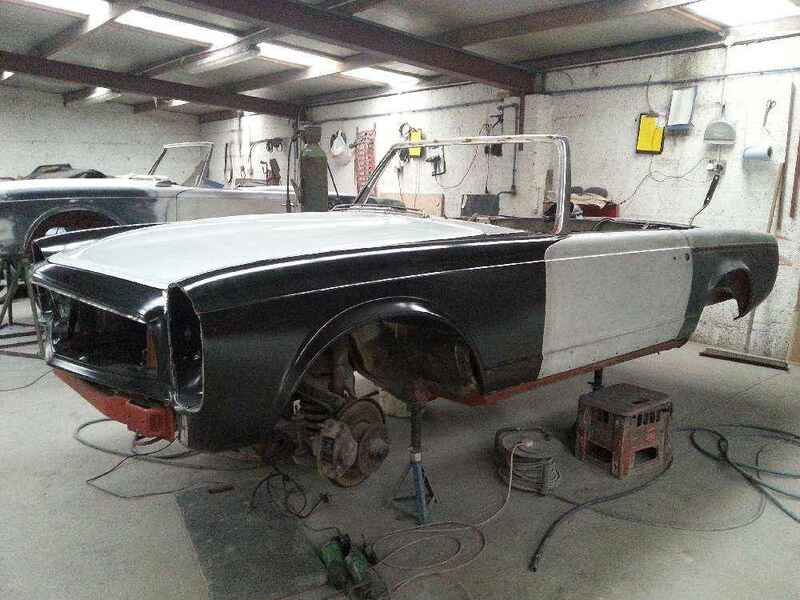 With over 600 photos documenting every step of the restoration from dismantling the vehicle to metal bodywork hardtop bodywork paint prep paint work drive train mechanical restoration, vehicle assembly and finally the finished Pagoda in 2014. 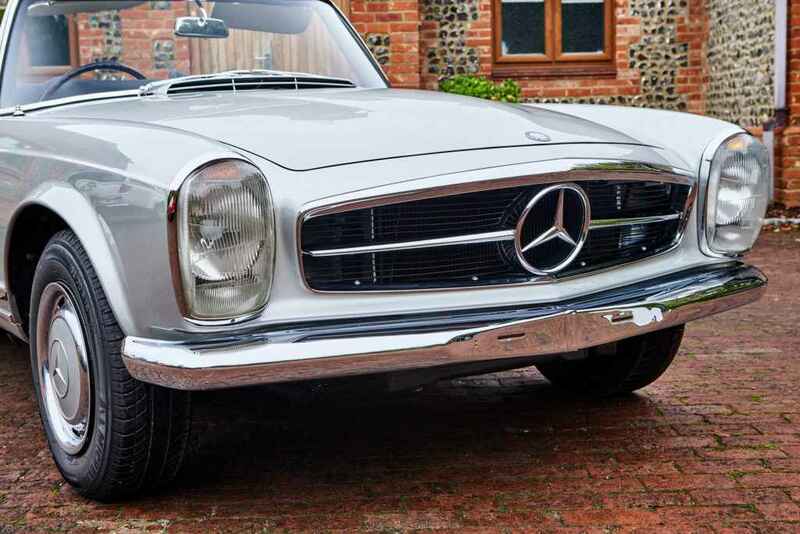 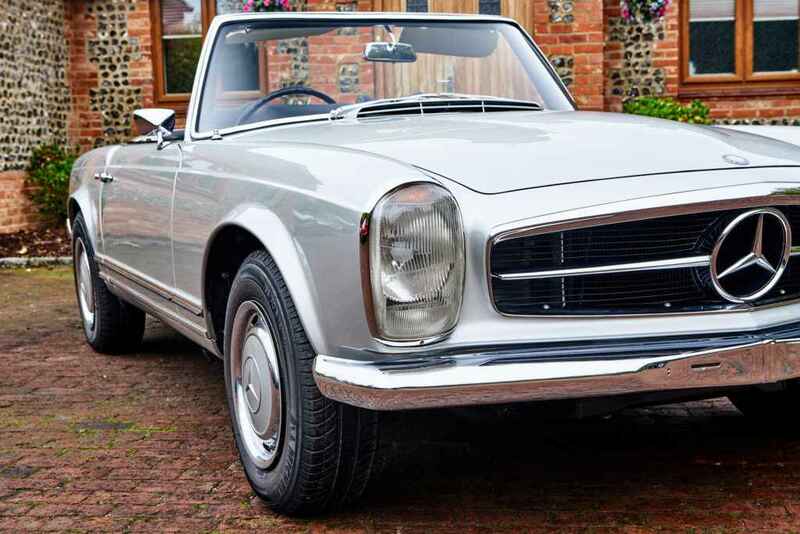 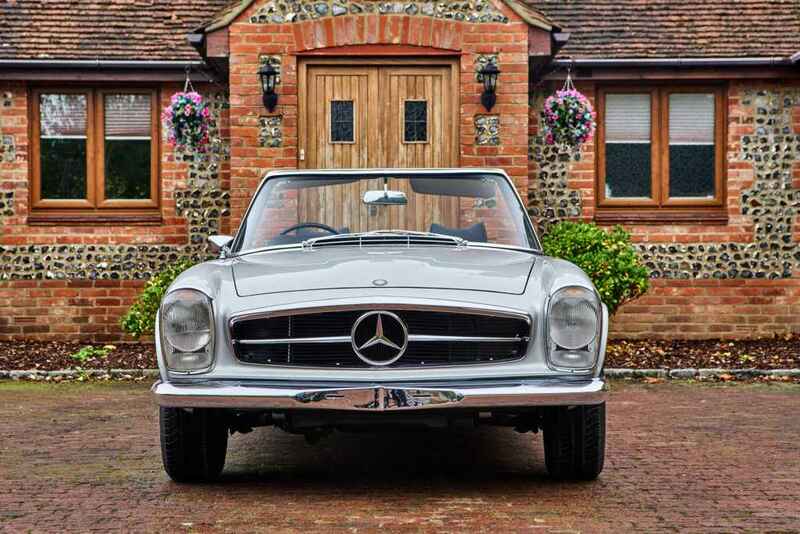 Of cause not only does this wonderful 280SL come with complete photo gallery but itemised invoices / bills for all restoration work carried out. 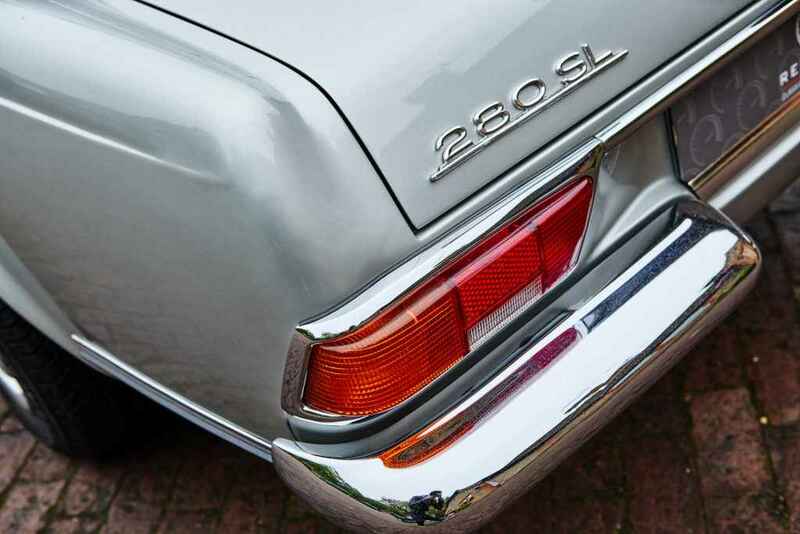 Final result without question is one of the best manual 280SL Pagodas on the road today. 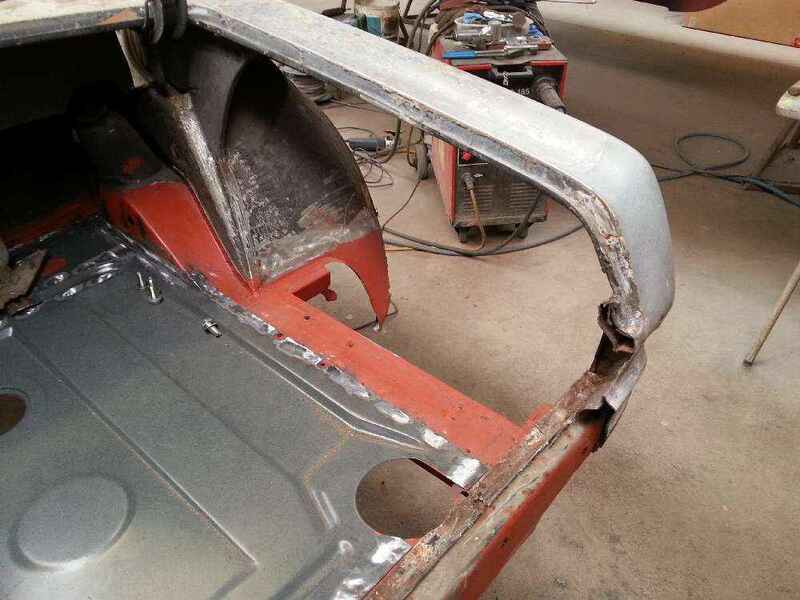 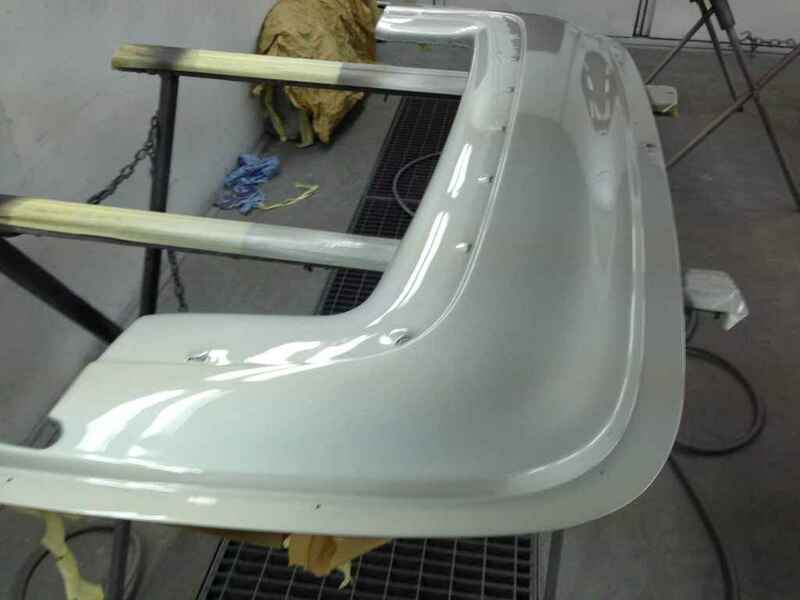 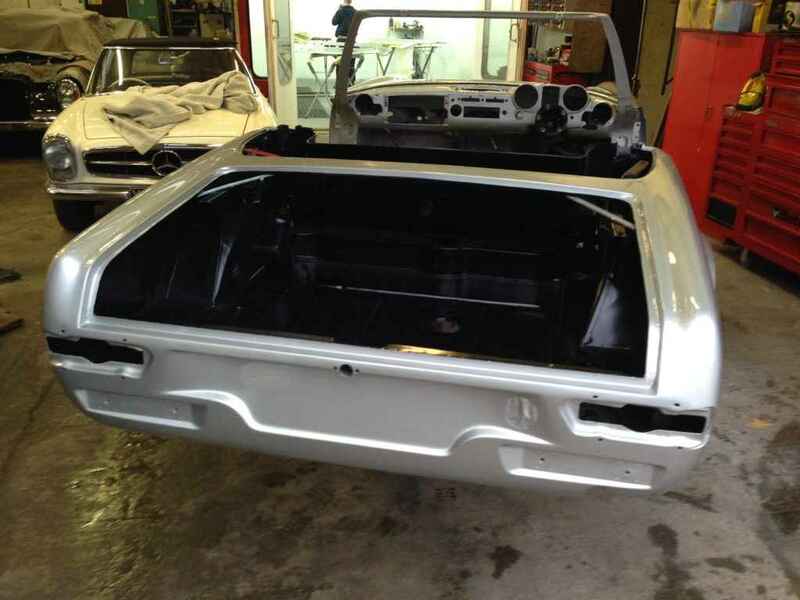 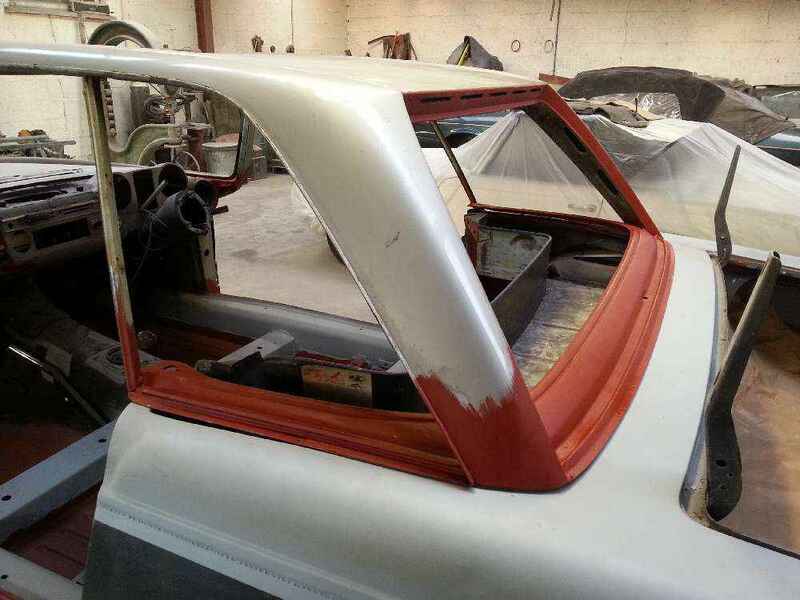 Both bodywork and hard-top have received extensive amount of time rectifying or replacing rusty / pore quality panels, the attention to detail is second to none making sure every aspect of body is correct before going to paint, 508 photos document this including making sure correct hard top fit. 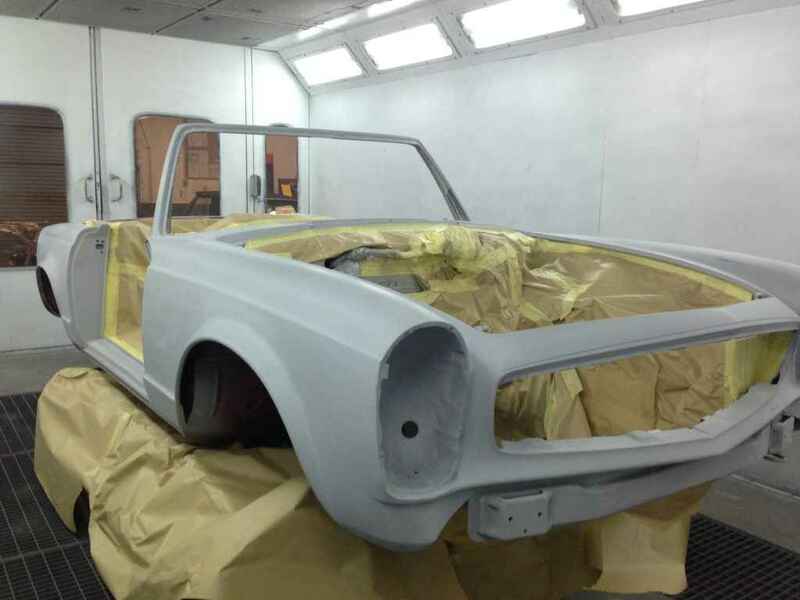 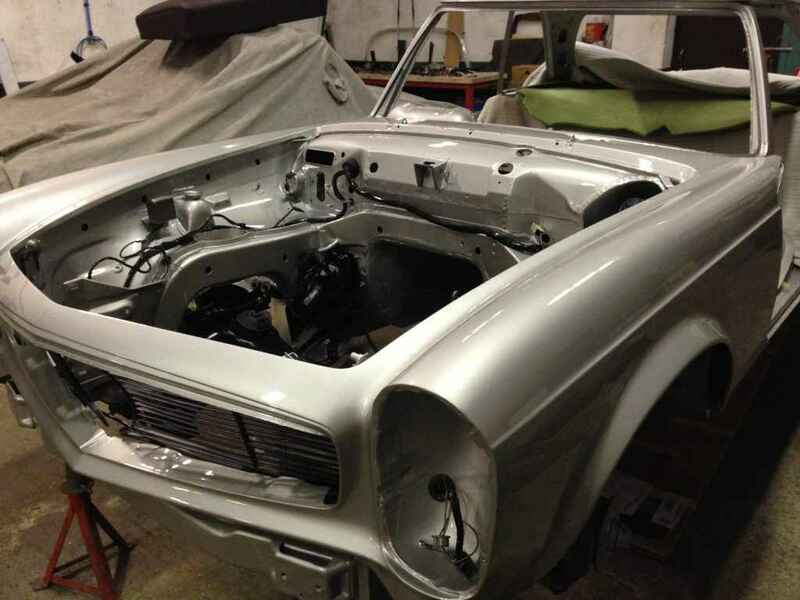 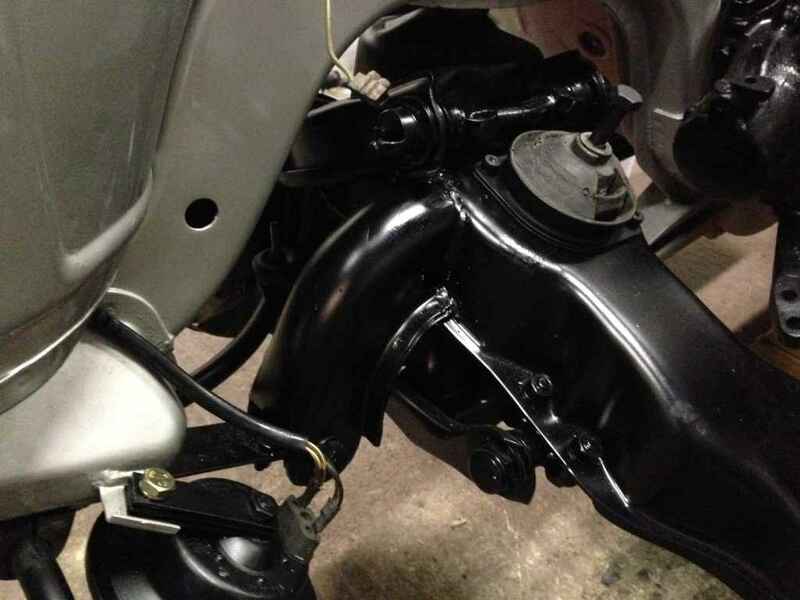 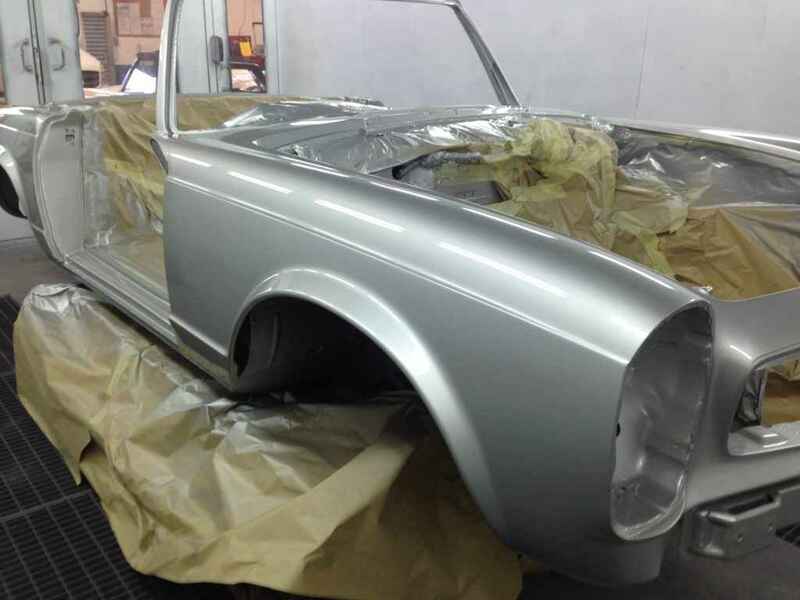 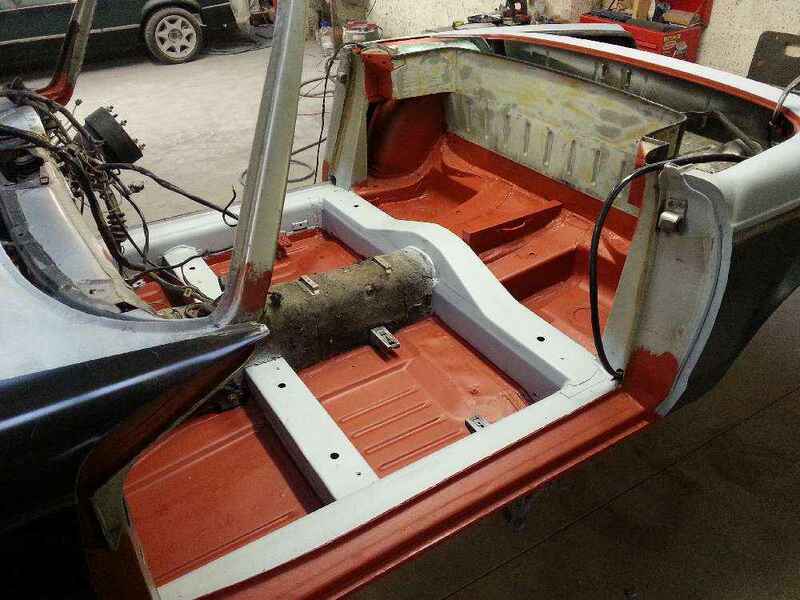 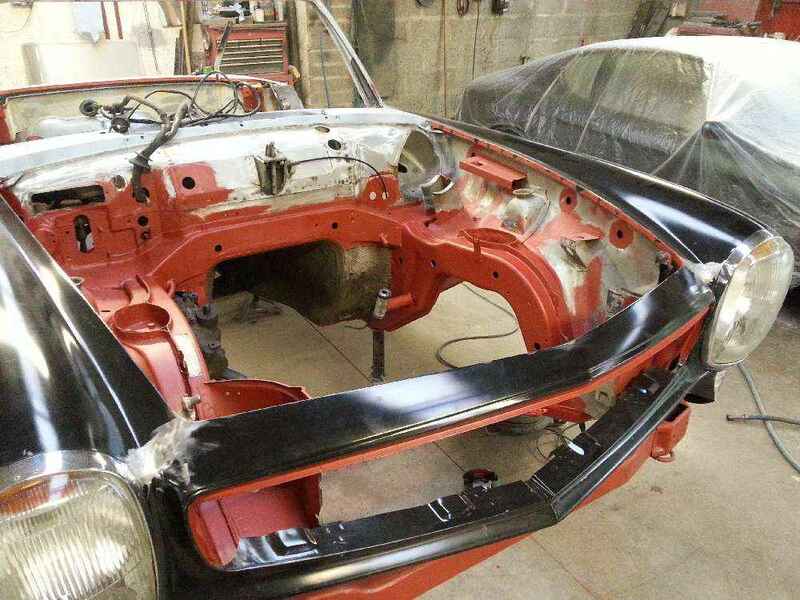 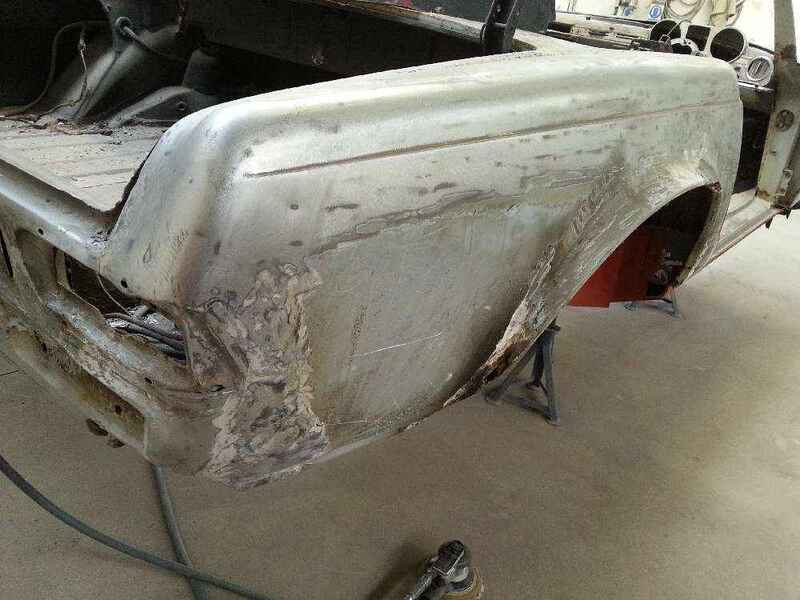 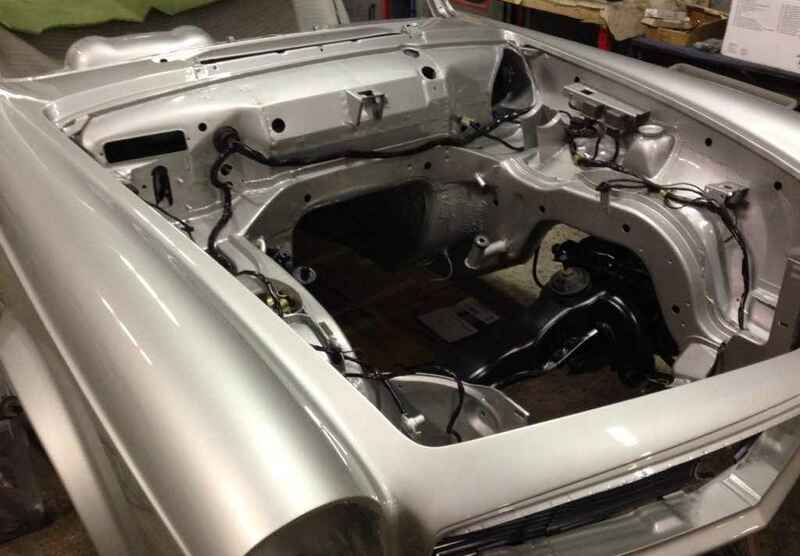 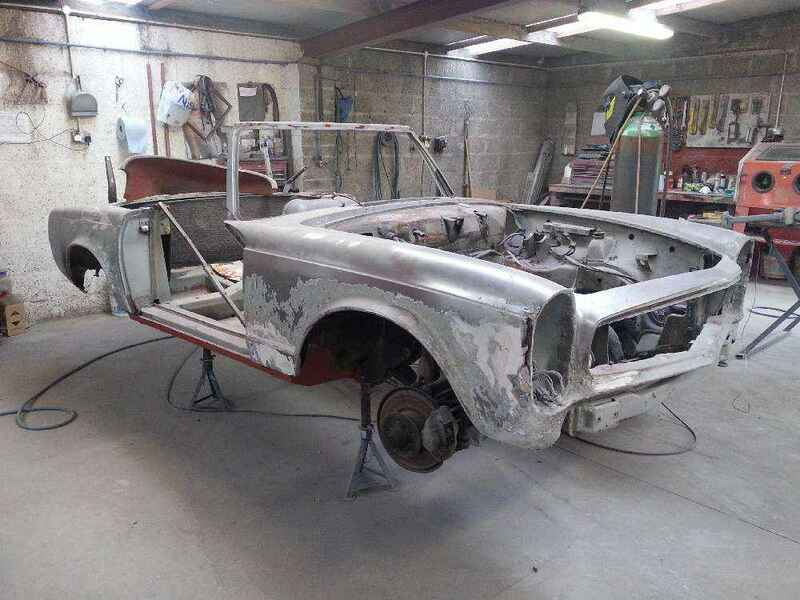 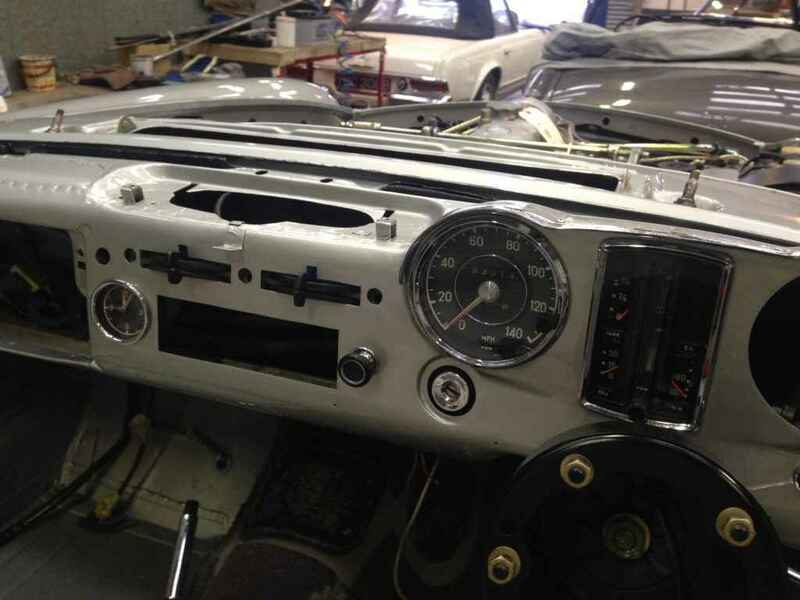 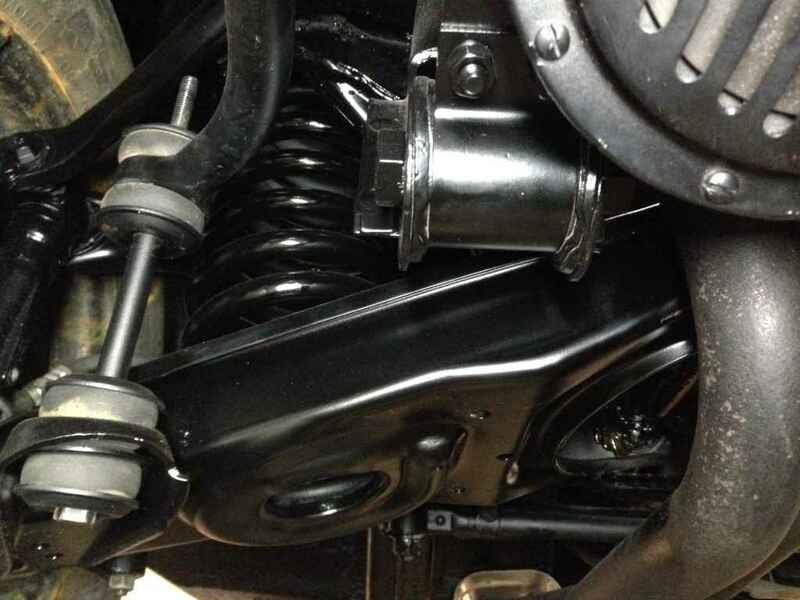 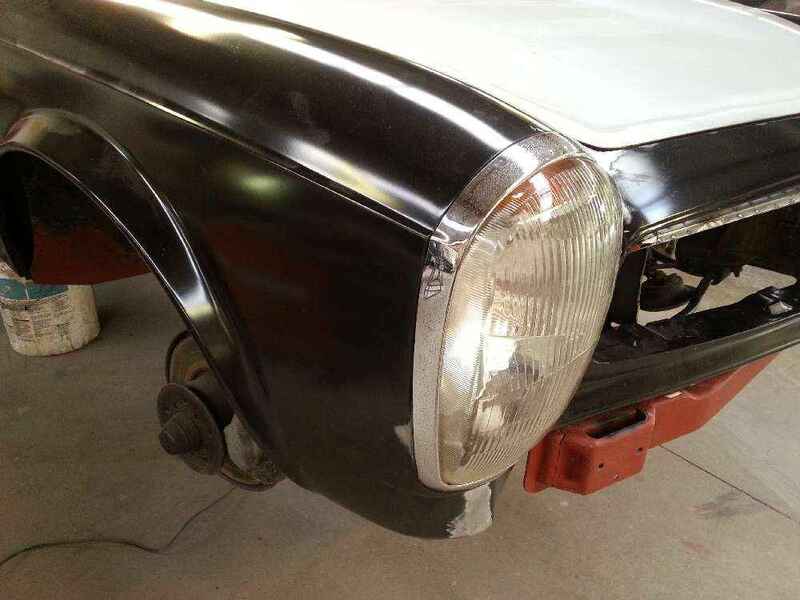 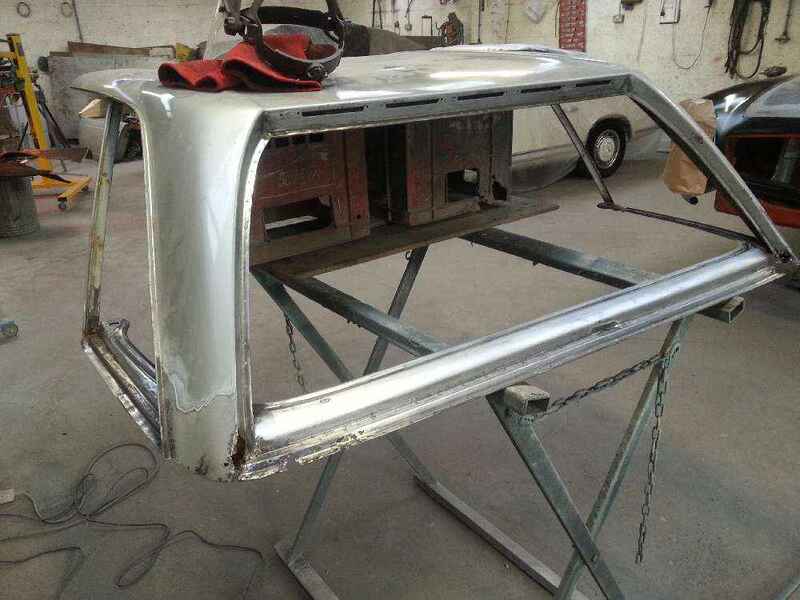 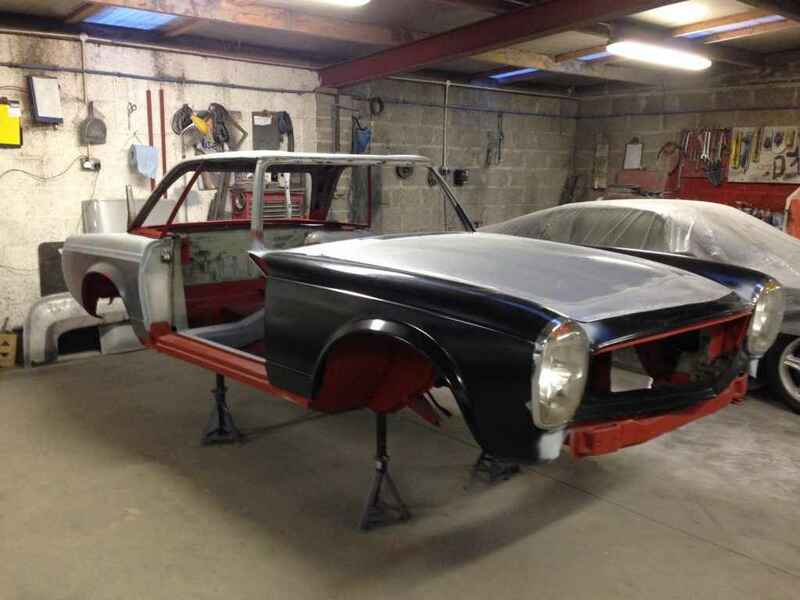 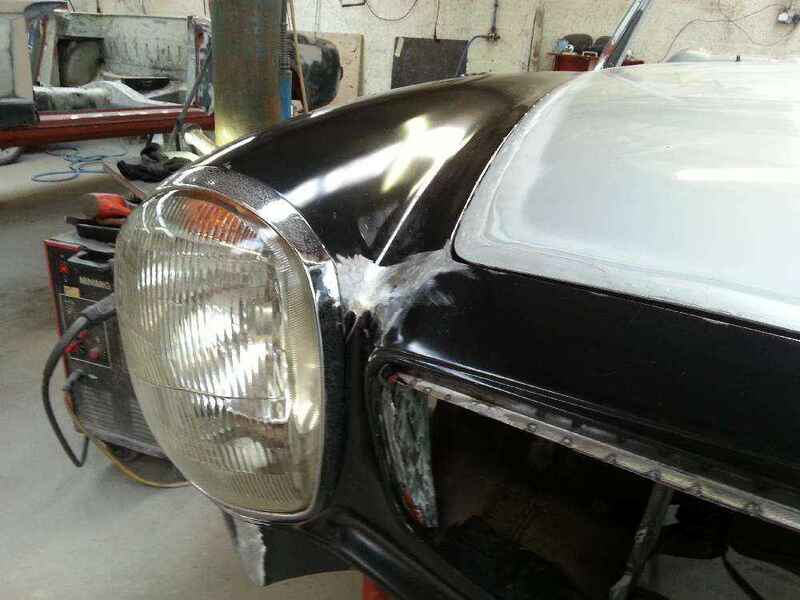 Every step of painting process is documented, after viewing photo gallery (34 photos) you will understand the extensive amount of time spent making sure this 280SL is looking its very best. 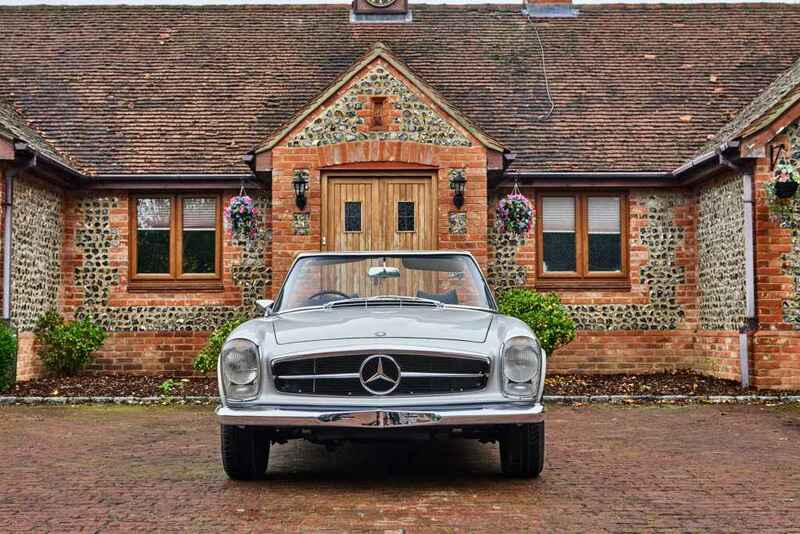 Great care and attention has been paid to all area’s of the vehicle which has been thoroughly mechanically refurbished – suspension drive train engine & gearbox wiring chrome work complete interior re-trim, English gauges standard European headlamps single front seats, nothing has been over looked and credit to T & D Heaney for producing quite simply one of the best wonderfully restored 280SL Pagodas on the road today. 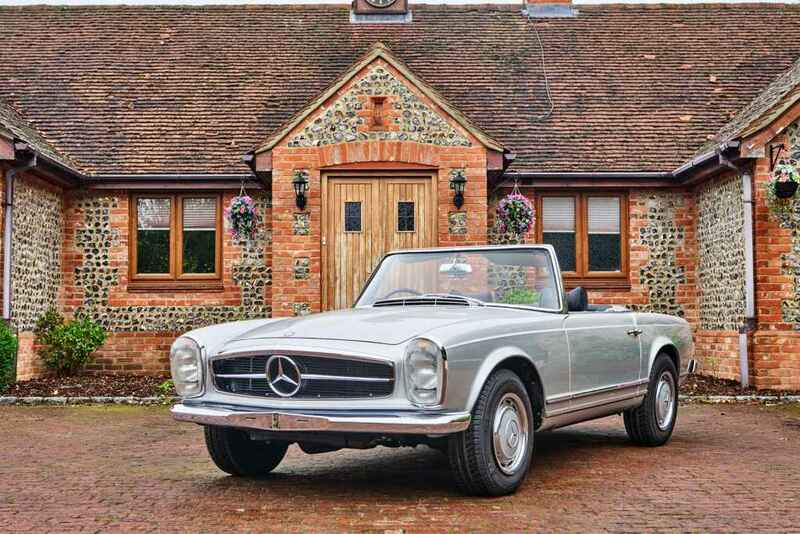 Originally resigned in Northern Island before being registered in UK by current owner in September 2016. 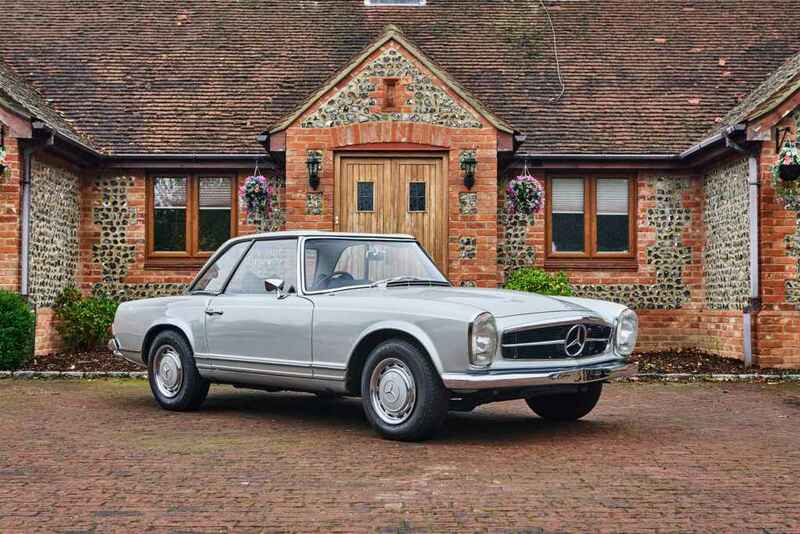 History file also contains copies of old style log book MOT’s invoice / bills information and USB photo gallery.